The start of the Keelboat racing season is upon us already, and 6 boats have already been hard at work competing in the Crosshaven Boatyard April league See results HERE. Thursday the 03rd of May sees the start to our mid week leagues, and first up is the UK Sailmakers May League, looking forward to seeing you all on the water for that. On the Friday night the 04th we are starting the Friday night leagues, but we are also hosting a new members evening in the club and I am asking for as many boats to compete on this evening as possible and bring some of our new members out on the water and help show them a good time in the newly refurbished bar afterwards. Please email me if you can take some new members out for some fun sailing. Keelboat weekly reports will resume on the first week of May to keep you all up to date on what happening and what on for the coming week. 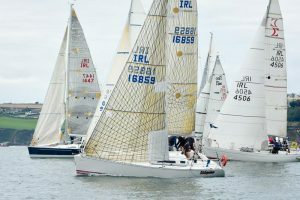 Volvo Cork Week is going really well, with 80 boats already entered, but of that 80 we only have 24 club boats entered. 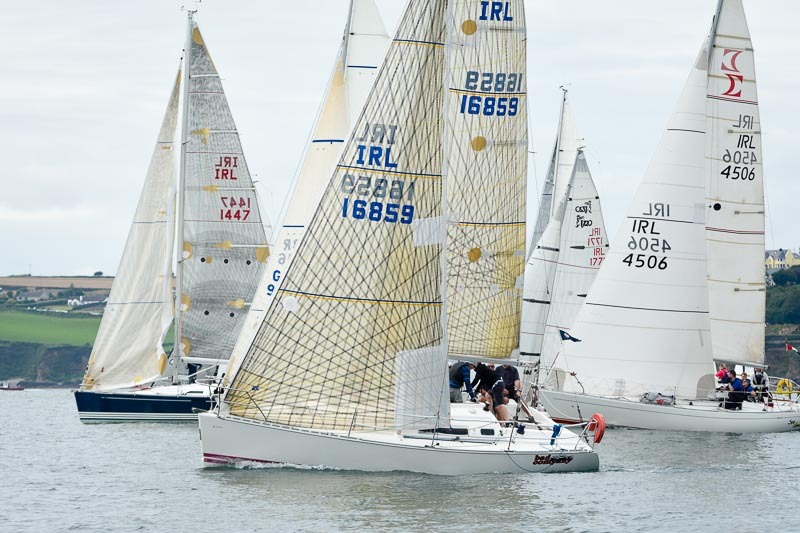 If you look at the wave regatta in Dublin who also have 80 boats entered, but the difference is, of their 80, 55 are club boats. As members we really need to get behind Volvo Cork week this year and get out and race. The options are now there to do all the week, three days, two days or even just one day if that’s what you want. So please if you can, get your entry in this week, you can contact me directly if you need advice or assistance in entering. Also Mike McCann has been working with the committee over the winter to get us up to speed on the new results program, A big thanks to Mike and Wendy for all the work on this. Please be patient with us as we get to grips with the new software. There are 4 different events starting in the Club in May. Thursday Night May League – 5 Thursdays. North Sails Sunday Morning League – Starts in May 6th and continues throughout the summer. It is possible to have a different Club Echo Handicap for each of these events, depending on whether you are White Sailing or Spinnaker, Sailing with reduced crew or sails or other miscellaneous changes. For example : If you plan to sail the with less than your IRC crew for one of these events we will adjust your handicap for that event. It is also worth noting that your handicap will stay static for the duration of the entire event. If you are sailing your usual class with full crew and sails for all of these you don’t need to do anything. But if you want your handicap adjusted for any of these 4 events you must fill out the form on the website at the bottom of the notice board.